Apostrophe Catastrophes: What Happened, Brits? Another day, another catastrophe from Mike in Pensacola. 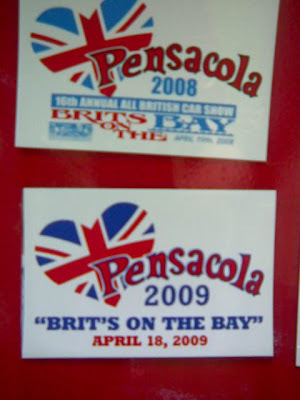 The Brits managed to get their punctuation right in 2008 but not 2009. What happened, guys? "Didn't the Brits invent the language?!" Mike asks. The Swedes and the Germans and later the French did, really. As a Brit I can vouch for the fact that just being a Brit doesn't stop you from being as thick as two short planks.